I love getting Christmas cards from family and friends. Here's a lovely way to display them in your home. I simply tied a long piece of red satin ribbon around a kitchen cabinet door. It is anchored by a bit of sticky tack (that gum-like stuff we all used to put things on our dorm room walls.) 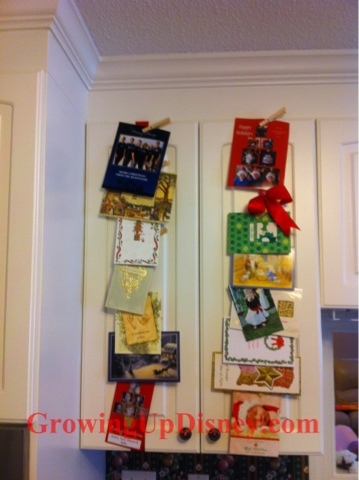 Wooden clothespins attach the Christmas cards to the ribbon. 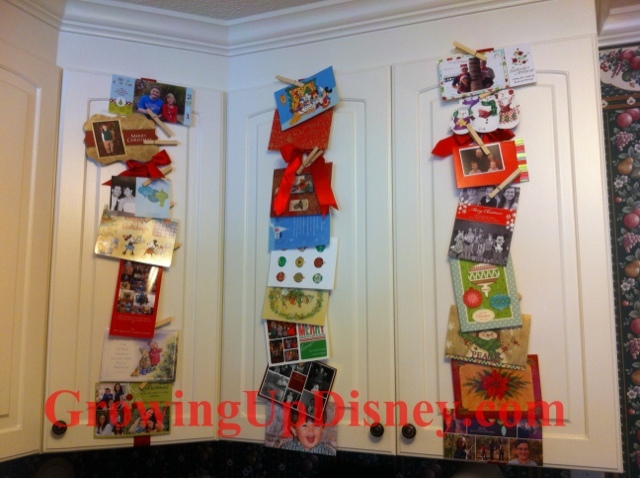 I need to do another cabinet door for the other cards I have now and will add on as we receive additional cards. I'm thinking about doing something similar in my laundry room to display photos of the girls, artwork, vacation postcards, etc. 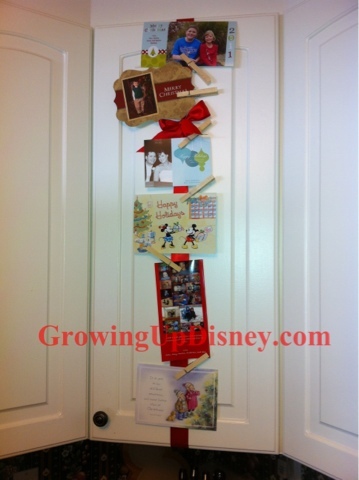 Since the cards or photos are held on by clothespins or other small clips, it will be easy to add or change the photo gallery. 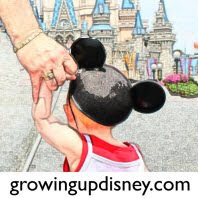 For really crafty types, you could do this while on a Walt Disney World vacation. At resorts with kitchen cabinets, such as DVC, you could display the maps, stickers and other small items you gather each day. For studio-style rooms, tie or hot glue a section of ribbon on a small metal ring (or just tie one end of the ribbon into a loop.) Take along a Command hook so you can hang it without damaging the wall. Update: Here's the final result. I love seeing all these joyous wishes and cute faces while I work in the kitchen.